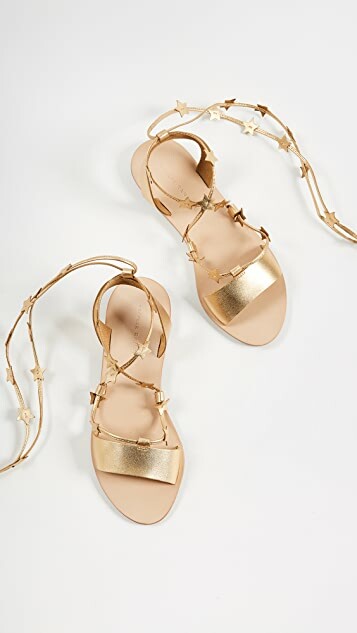 Stars accent the slim lace-up ties on these luxe metallic leather Loeffler Randall sandals. Rubber sole. They are really really pretty in person. I was worried that the stars might look like barbed wire crawling up my leg, but this totally wasn't the case. The leather for the stars and the tie/string are both really soft. The yellow-gold color is bright but soft, not garish. 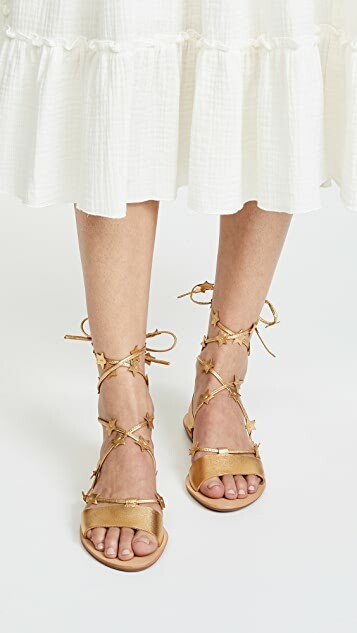 The footbed is really narrow and short though. 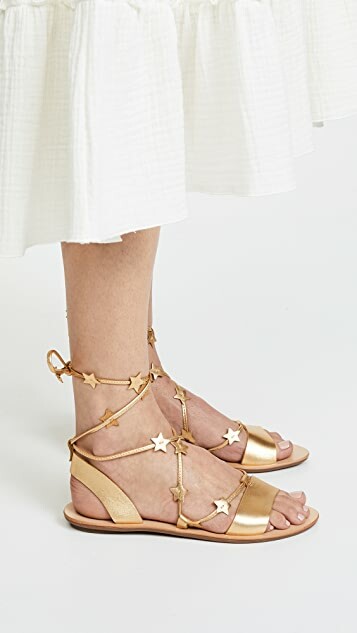 I normally wear an 8.5 in flats and a 9 in sandals, but I ordered a 9.5 to be safe, and *just* barely fit on the footbed of these sandals. 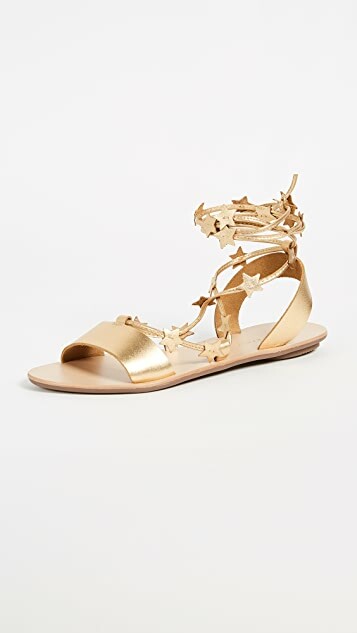 I got these during the Shopbop sale, so I won't be trading them in for a 10, but I could probably comfortably go up to a size 10 for a slightly more relaxed fit. The straps at front and back were perfect for me, so they'll probably be rather tight for most people. 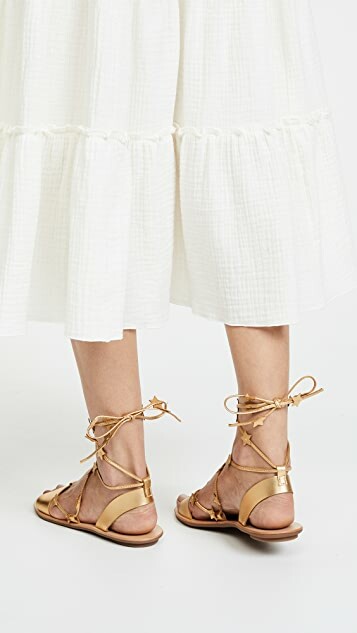 Those looking for comfort should probably size up a full size from their normal sandal size.